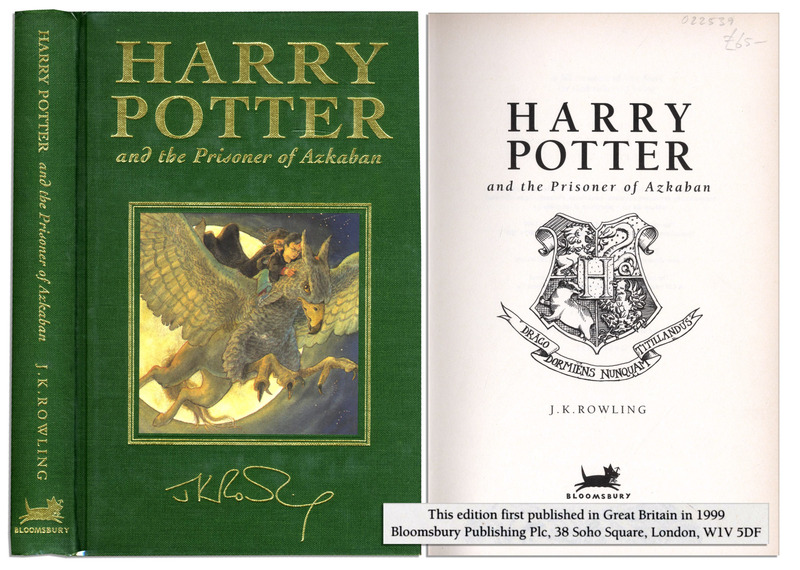 U.K. deluxe edition of ''Harry Potter and the Prisoner of Azkaban'' published by Bloombury: London: 1999. First edition, second printing. 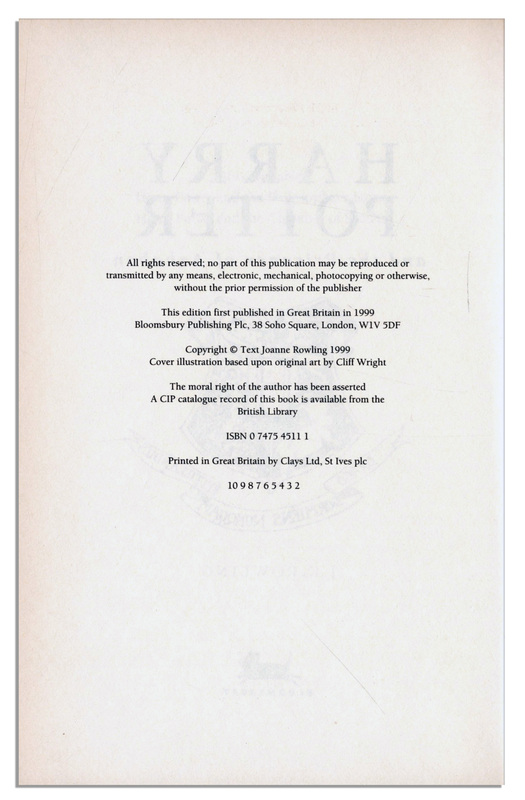 This is the rarest of the U.K. deluxe volumes and third in J.K. Rowling's hit series. Bound in original green illustrated cloth boards with gilt lettering. All edges gilt. Runs 317pp. A tiny crease to the top edge of page 232, else fine.